The movers brought my furniture today. Except for a few minor snafus—driver arrived, crew didn’t; car battery died so couldn’t get it off truck—everything was going well. Until. The crew parked in the nameless alley behind my house and had almost finished unloading my household goods when a cranky neighbor showed up and demanded both the crew’s pickup truck and the moving truck be removed. She “needed” them moved, she said. The movers had parked in the alley to avoid blocking the road in front of my house. They weren’t impeding traffic. They weren’t parked in the woman’s yard. They weren’t blocking her driveway or preventing her from leaving her house. 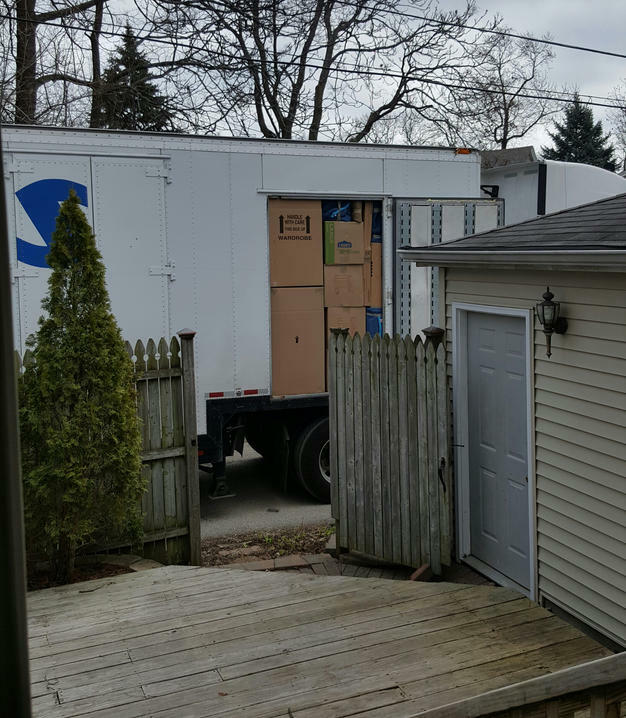 Cranky neighbor was so offended by a moving truck in a back alley, she called the police. The policeman who responded did not seem overly concerned. He remained polite and professional. He simply asked the movers about how long they thought they’d be then left. Cranky neighbor stayed home and spied on the movers, looking for reasons to scold them. Welcome to the neighborhood. Being an author always alert for story ideas, I immediately thought this woman would make the perfect fictional murder victim. I fantasized ways of killing her off and created a list of suspects with a motive for doing her in. The list was long. I mentally scouted locations for the crime scene and devised a reason for my sleuth to be in this otherwise charming town. Then I stopped. I reminded myself part of what made this town charming was its small size. If I wrote a story and people read it (as I hope they would) they’d recognize the person on whom I’d wreaked fictional vengeance. That probably wouldn’t get me invited to many parties or included on any Christmas card lists. Last Spring, Richard Cohen wrote an article titled, “How Writers Will Steal Your Life and Use it For Fiction.” He explained how writers crafted characters inspired by people they met and examined how this literary identity theft impacted both writer and written about. One of my favorite episodes of “Midsomer Murders” deals with a man whose life has been turned into a novel by someone else. He feels victimized, his experiences stolen, leaving him with nothing to write about himself. There are ways to borrow someone’s life without offending them or risking libel charges. Transform males into female characters and vice versa. Borrow traits from several different people and combine them into a single character. Change your locale. Get their permission. Some people might like the idea of being an author’s muse. However we handle it, we’re unlikely to stop using bits and pieces of real people to build fictional characters. Life has too many good stories to pass up. Maybe writers should all wear warning buttons like the one I recently gave a writer friend—”Be careful. Anything you say may end up in my novel.” How do real people inspire your writing? How do you disguise them?